Except in street art, the trompe l'oeil is a pictorial genre intended to play on the confusion of the perception of the spectator who, knowing that he is in front of a painting, a painted flat surface, is nevertheless deceived on the ways to get that illusion. - A representation of Jean-Auguste Dominique Ingres at a window at the intersection of Ellie Street and Fourchue Street. 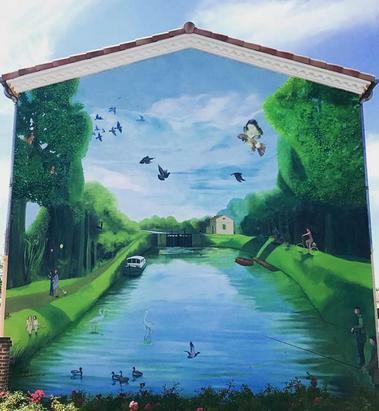 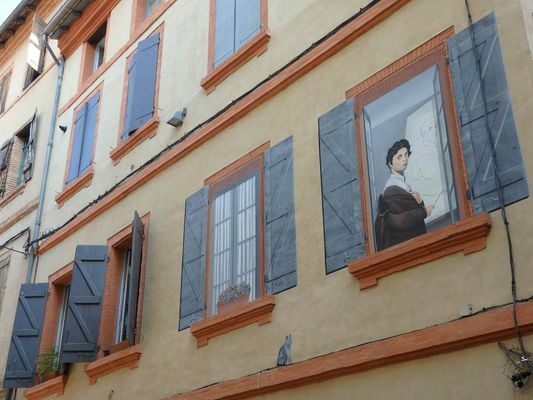 - A trompe l'oeil representing life along the Montech canal between birds, fishermen and hikers painted on a house facade on the road to Lacourt.